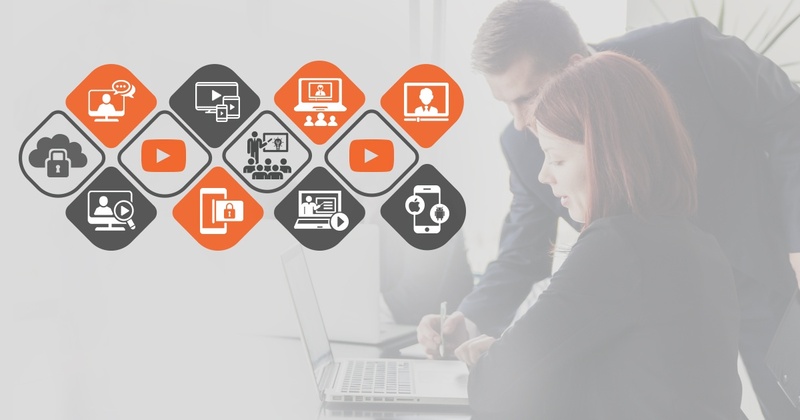 Video is no longer considered an optional technology in the workplace, and enterprise video platforms are gaining immense popularity in organizations across all verticals. 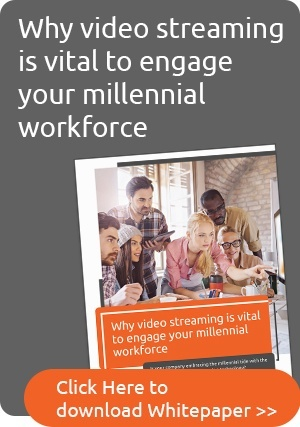 Gartner predicts by YE18, 75% of workers at large organizations will interact with various kinds of video more than three times daily. Such a trend then requisites business consideration that corporate video is set to experience an incremental rise. With a surge of sophisticated video use cases across the enterprise, video management can no longer be left to disparate tools and insecure public channels like YouTube or Dropbox. The modern enterprise needs a consolidated enterprise video platform that single-handedly addresses all needs for video content capture, processing, storage, management, viewing, sharing, and archival – accessible to all stakeholder on all devices, locations and bandwidth conditions. Consolidated portal: In the absence of an enterprise video platform or video content management system, corporate video files are often saved to multiple disparate locations such as hard drives, network file share or a SharePoint site where it is impossible for others to locate or even playback due to frequent instances of incompatibility between user’s player and the video file type. Additionally, lack of an enterprise video platform may pose security risks as employees often resort to using consumer tools like YouTube or Dropbox to externally save and share internal content for the sake of convenience and efficiency. Using a secure enterprise video platform, on the other hand, ensures all video collateral is centrally stored, processed and shared among all employees within one platform where it is easy to search for specific files and use from a mobile device without incurring any security lapses. Multi-device compatibility: An enterprise video platform can effectively employ adaptive bitrate streaming to provide seamless video delivery and compatibility with all devices, including laptops, tablets, smartphones as well as modern wearable technologies. Easily searchable content: In a video content management system, all digital media is accessible with a simple and efficient search. Additionally, a modern enterprise video platform also provides automated transcription, which further refines indexing and search to the spoken word in a video, enabling superior search relevancy and efficiency across all media content residing on the video platform. Remote and mobile access: An enterprise video platform gives users the ability to access the platform from any device, at any time, and in any location or bandwidth conditions. A video platform’s CDN-enabled technology optimizes external or remote delivery of video in the cloud or on-premises – allowing users smooth access to all live and on-demand video and other digital media while working from home, in public spaces, or even while working from remote locations. Media capture from all recording devices: Today, video can be created using a variety of recording devices such as mobile phones, webcam, digital camcorders, personal video recorders, wearable technologies, and more. An enterprise video platform captures and ingests video from all recording devices and provides compatibility with a large variety of video file formats, enabling the use of all types of video content, regardless of how it was recorded. This not only enhances employee productivity by giving them the freedom to use any type or number of devices to record video but it also simplifies and, therefore, proliferates the overall use of video in the organization by removing any barriers to adoption. Additionally, a video platform can also automatically capture and ingest recorded media from online meeting or video conferencing tools like WebEx, Go-To-Meeting or Skype for Business. Idea sharing, peer feedback, and collaboration: In contemporary organizations, employee engagement can be improved with the help of enterprise video technologies that encourage sharing of ideas, voicing of opinions, and innovation derived from the collaboration. A video platform can be utilized by employees to create videos comprising new ideas, industry knowledge, best practices, innovative market trends, and more, which could then be shared within the enterprise video platform with peers, coworkers or even managers who can provide feedback in the form of comments, likes, and even share it on other company social tools like Yammer or social media networks like Twitter or Facebook. This would give employees instant and ongoing feedback in real-time while also adding to the collaborative element of their job. Additionally, employee-generated video content gives the workforce a voice in the overall communication efforts in a company, and the resulting engagement could work wonders to drive success in all areas of business by boosting employee performance across the board. BYOD-enablement: Enterprise video platforms can be enabled for BYOD (Bring Your Own Device) technologies in the cloud and on-premises installations to allow users to securely access all video and digital media assets from any permissible device, providing the ultimate accessibility and flexibility of multi-device video upload, search, viewing, sharing, and other capabilities. Android and iOS mobile app: An enterprise video platform mobile app could be hugely effective in simplifying and facilitating its use by the employees, just like the other apps they use on a regular basis. A video platform can be accessed though Android and iOS apps that provide users access to all digital media content on their smartphones, allowing them to create, share and manage live or on-demand video and other media directly from the app. A video platform app also facilitates offline video viewing by offering an option for media downloading, storage, and viewing within the app. Gamification: An enterprise video platform can offer gamified learning where video is combined with other multimedia tools in learning plans to create a competitive learning environment. Learners are challenged and rewarded through scoring and badges upon completion of modules or courses, with the opportunity to climb the leaderboard and even receive completion certificates – all of which effectively engages employees and contributes to increased retention of knowledge. Unified cloud-enabled application: Research reveals cloud-based applications enable a more flexible and mobile-friendly work culture while also exposing employees to latest technologies, and building a better sense of community among coworkers with cloud-based collaboration tools. Cloud-based technology also promotes free flow of institutional knowledge by preventing knowledge and resources from being locked behind corporate firewalls or company-owned desktops. A cloud-based enterprise video platform can securely launch and set up video in any company’s IT infrastructure in the cloud in a Software-as-a-Service (SaaS) model to allow quick and efficient video creation, sharing and collaboration with flexible access from all devices, locations, and bandwidth conditions. VIDIZMO, a Gartner-recognized enterprise video platform and streaming video solution, offers a comprehensive video platform for live and on-demand video streaming as well as digital asset management. For more information, visit our website or contact us to request VIDIZMO's free 30-day trial.